Trends are all we do =]. 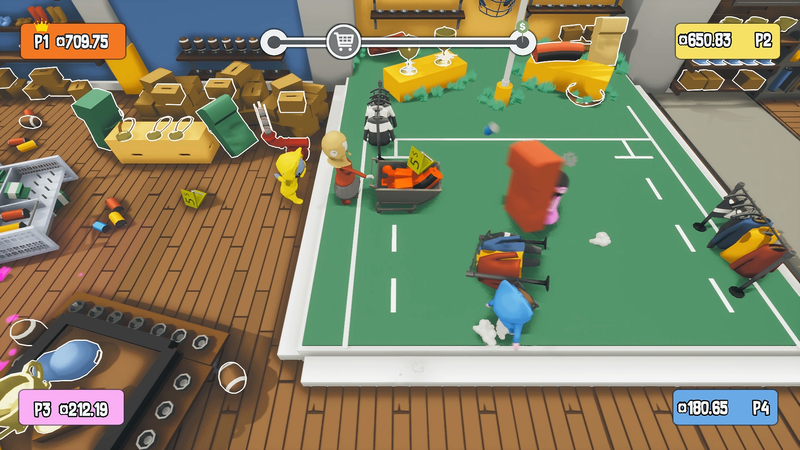 Store Revolt is a funny little physics-based ragdoll local multiplayer game that’ll give you and your friends some guaranteed laughs! 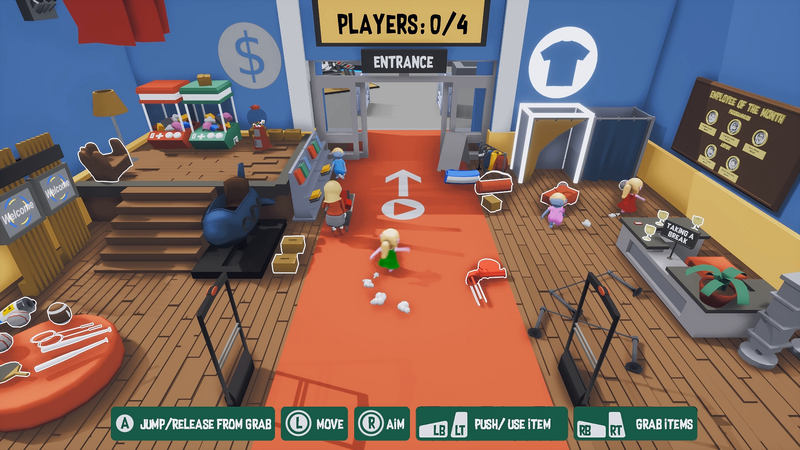 It’s all about having a good time at the local shopping mall as you load items into your shopping cart while trying to take down your friends’ carts! 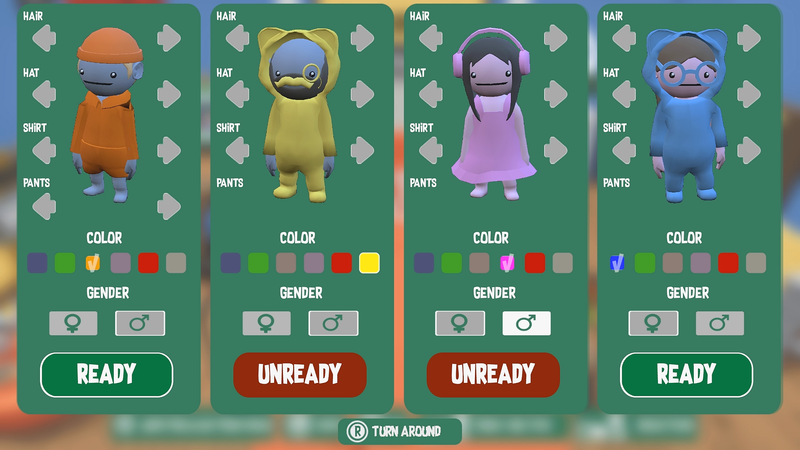 It’s playable with up to 4 players each with fully customizable skins. You need to put items in your parents’ cart that are worth a lot of cash. The more you grab, the more points you earn. The trick is to get as many valuables into your cart as possible! You can snag stuff like trophies, trampolines, and tons of other things you wouldn’t expect to fit in a shopping carriage. You can pick up items like bats to knock out your friends temporarily and steal the items they were carrying or throwing them into the cart for huge chunk of points! It’s crazy and makes absolutely no sense- but that’s why it’s fun. The game supports controllers so no blaming controls as an excuse. The player with the most valuables into the cart first is declared the ultimate shopper. You’ll have to use items, timing, placement, and physics all at once in order to beat your friends. It ain’t no co-op game- that’s for sure! Weird indie game specialist. Adventure, retro, and simulators are my fav. Xbox One and PC gamer on the side. Secret Neighbor (Early Access) – Play as a Neighbor in Disguise! What are your thoughts about this game? Useful if you're a regular user but not logged in. Due to fan demand, we now update daily with trending and awesome games =]. Don’t forget to bookmark us (CTRL+D). Sign up for an account and earn points (that do absolutely nothing). We read EVERY single feedback suggestion because we want to be the best. Tell us how we can improve to boost our awesomeness – especially feature requests =]! All images, videos, and other media in every game we write about belong to their original copyright owners. They're used specifically under the fair use doctrine in US law, strictly for commentary and/or news-reporting purposes. If you've found something that doesn't belong here, please, let us know. Peach's Castle is a resource for discovering the newest, best, and trending indie games. Whether you're a Let's Player, streamer, or just a casual gamer looking for alpha, beta, or even protoype games- you'll find it here. Find games. Meet developers. Make friends. Build networks. Play games.